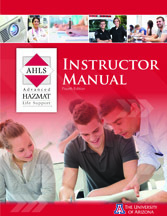 AHLS Instructor is a four-hour course designed to prepare AHLS Providers to host and instruct AHLS courses in their region. This course generally follows the two-day AHLS Provider Course. *Please note: Medical personnel (excluding EMT-B, and Respiratory Therapists) may become AHLS instructors. However, the AHLS Provider Course requires a team of instructors including a board-certified toxicologist and a physician (if toxicologist is not a physician) who is a current AHLS instructor. An AHLS Instructor may be from any health profession including paramedic (EMT-P only), nurse, physician assistant, physician and pharmacist. EMT-I classified paramedics interested in becoming instructors must apply and be approved by the AHLS Administrative Policy Committee before attending an AHLS Instructor course. The University of Arizona College of Medicine – Tucson is accredited by the Accreditation Council for Continuing Medical Education to provide continuing medical education for physicians. The University of Arizona College of Medicine – Tucson designates this live activity for a maximum of 4 AMA PRA Category 1 Credit(s)™. 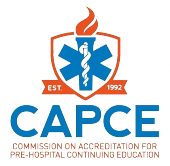 CAPCE (Commission on Accreditation for Pre-hospital Continuing Education) represents only that its accredited programs have met CAPCE’ standards for accreditation. These standards require sound educational offerings determined by a review of its objectives, teaching plan, faculty, and program evaluation processes. CAPCE does not endorse or support the actual teachings, opinions or material content as presented by the speaker(s) and/or sponsoring organization. CAPCE accreditation does not represent that the content conforms to any national, state or local standard or best practice of any nature. No student shall have any cause of action against CAPCE based on the accreditation of the material. In support of improving patient care, this activity has been planned and implemented by Amedco LLC and Advanced Hazmat Life Support. 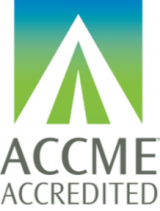 Amedco LLC is jointly accredited by the Accreditation Council for Continuing Medical Education (ACCME), the Accreditation Council for Pharmacy Education (ACPE), and the American Nurses Credentialing Center (ANCC), to provide continuing education for the healthcare team. Credit Designation Statement – Amedco LLC designates this live activity for a maximum of 4 knowledge-based contact hours for pharmacists. Pharmacists participating in the entire program and completing the post test will be awarded credit. No partial credit will be available. Members of the CFPC may apply directly for “Individual Consideration” to obtain Mainpro C (if they complete the exam – if not then it’s Mainpro M1).